This statement refers to neither Deer or Harris, and what it does not tell you is that the issue as to whether the Lancet paper was a really a “fraud” or not hinged on if it was “a perfectly good small case series report” as stated on this occasion by Ben Goldacre or if it was based on the protocol for the Legal Aid Board commission to which it bears little or no resemblance (and which the three doctors at the GMC were later to claim was never executed) as originally argued by Deer and Harris in 2004. 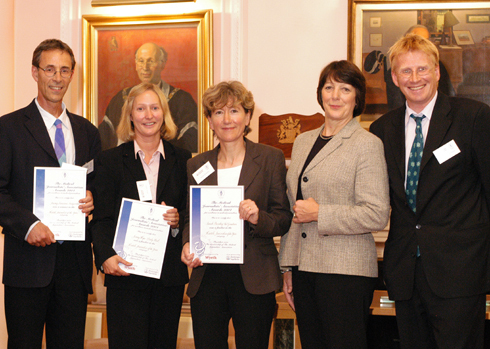 At the same time the possibility that medical establishment was trying to hedge its bets against the failure of a flawed GMC prosecution is opened up by the fact that Dr Harris, himself, was on the jury which gave Goldacre his Association of British Science Writer’s award for the article (note that page mistakenly attributes the article to John Gribben) . Indeed, there was sequence of editorials around the time of that award (which took place in the summer of 2006) doubting the wisdom of prosecuting Andrew Wakefield and his forgotten colleagues, which included pieces in The Independent, the New Scientist, by Dr Michael Fitzpatrick in Spiked Online and a little later by Dr Fiona Godlee in British Medical Journal calling for the prosecution to be called off . The almost unavoidable conclusion is that large sections of the British media have always known that the “Wakefield” prosecution was based on an imposture, and have been holding their silence in contempt of fair reporting and of the public at large, and that these people are much more concerned about their own backs than they are about our children.